THS Concepts were tasked with setting out a number of steel framed planter units to fit within a new running track that had been built on top of the New Bracken House building on Friday Street in London. We worked for a well-regarded street furniture design company called City Squared. City Squared are based out of Leeds in the UK and produce innovative, high quality street furniture for a range of different projects and sizes. The building works on the project were clearly specified with quality in mind. The fact that the building now has a running track on the roof demonstrates the level of spend with the project! We were working on steel framed planters. These planters were to be filled with soil and topped with a corian finish allowing people to sit down and relax. For this project, the setting out had to be absolutely spot on. The planters had to be placed in the correct position as other pre-fabricated elements such as the timber and stone flooring had to fit around them. 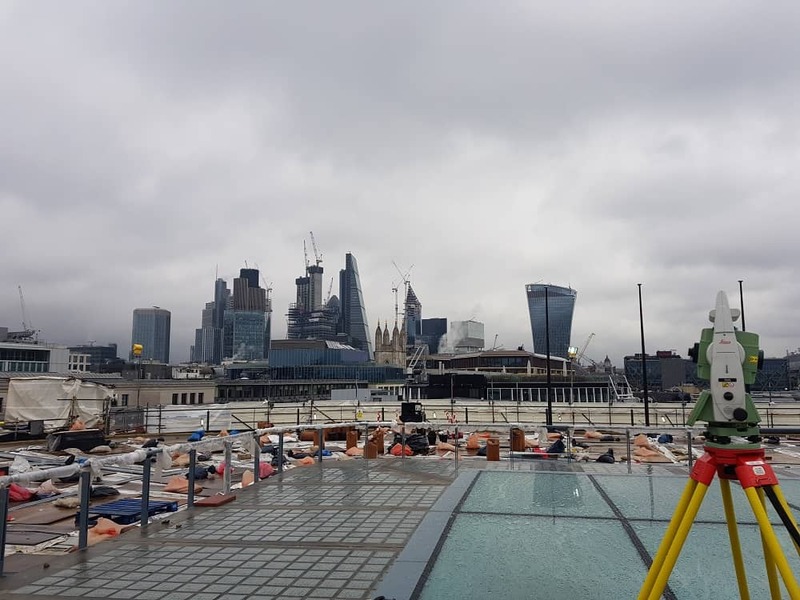 We made use of our Leica TS15 robotic total station to undertake the works. Thankfully, the client had provided us with a range of excellent control stations. On each set up we were never more than 1mm out in position and height which is great. This project involved a lot of pushing and pulling of the steel framed units to get them into the correct position and alignment. 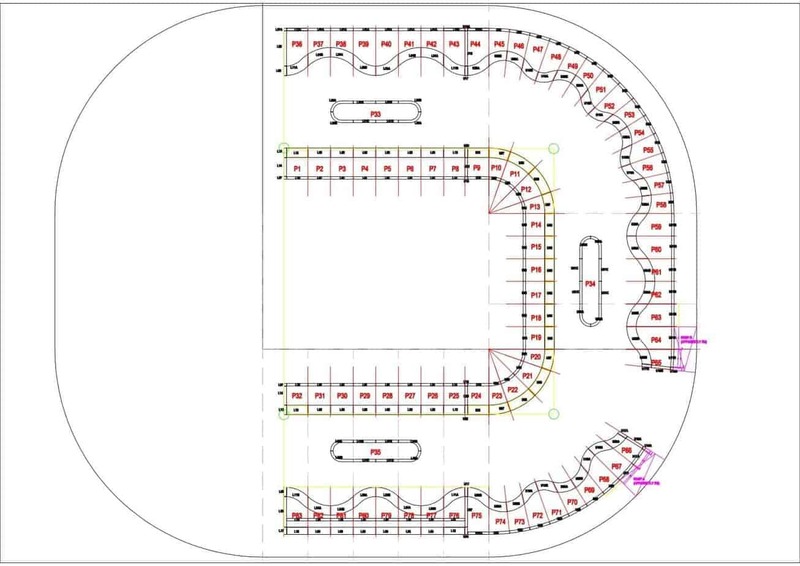 We used a Leica Mini Prism and the excellent quality drawings provided by the client. We loaded these straight on to our survey controller to set out the various areas. Overall we were really happy with how the project went. The difficulties we faced were sometimes having to wait for the heavy goods lift to get to the roof. With our equipment we sometimes didn’t have a choice as the only other option was a precarious ladder! Another irritation was the snow, however, this has to be expected when working outside in January! Our client, CitySquared, was very pleased as well – you can read their TrustPilot review of our service here. We hope you enjoyed reading about our work in Friday Street. If you have any questions, leave a comment!